LANSING — Six business expansions that will generate more than $180 million in private investment and create more than 1,100 jobs in Michigan have received support from the Michigan Strategic Fund, the Michigan Economic Development Corp. announced. * Amphenol Borisch Technologies received a $410,000 Michigan Business Development Program performance-based grant to suport a renovation and equipment purchase at its existing plant and headquarters in Kentwood that will result in the investment of $3.7 million and create 82 jobs. ABT is a contract manufacturer for the military and aerospace industries that builds complex electromechanical assemblies, cable harnesses, circuit cards and more. Michigan was chosen for the expansion over competing sites in Arizona and Mexico. The Right Place is offering staff time and resources in support of the project. For information on careers with ABT, visit www.borisch.com/career. * Coyote Logistics received a $1.5 million Michigan Business Development Program performance-based grant to support a $3.6 million expansion of its operations in Detroit’s Corktown neighborhood that is expected to create 300 jobs. The state was selected over a site in Denver because of proximity to recruiting recent college graduates, and cost of living advantages. The city of Detroit anticipates approval of a personal property tax abatement in support of the project. For information on careers with Coyote, visit https://coyote.wd5.myworkdayjobs.com/en-US/coyotecareers. * DealerOn received a $300,000 Michigan Busienss Development Program performance-based grant to support a $1.66 million project to support a renovation and improvement of its Grand Rapids headquarters, resulting in the addition of 44 jobs. DealerOn is a website and digital marketing company for auto dealerships. Michigan was chosen over competing sites in Maryland and Texas. The Right Place has offered staff time and resources in support of the project. Individuals interested in careers with DealerOn should visit http://jobs.dealeron.com/. * Grand River Aseptic Manufacturing Inc. received a $1 million Michigan Business Development Program performance-based grant to support a $63.5 million administration and production building on Butterworth Street SW in Grand Rapids that is expected to create 107 jobs. Founded in 2010 as a joint venture between the Van Andel Institute and Grand Valley State University, GRAM supports the life sciences industry’s growing need for high-quality, outsourced sterile injectable pharmaceuticals manufacturing. Michigan was chosen over competing sites in Indiana and Wisconsin. The city of Grand Rapids has offered a 50-percent property tax abatement in support of the project. Individuals interested in careers with GRAM should visit www.grandriverasepticmfg.com/contact/careers/. * Milpitas, Calif.-based KLA-Tencor Corp. (Nasdaq: KLAC) received a Good Jobs for Michigan withholding tax capture for up to eight years, and a $1.5-million Michigan Business Development Program Performance-based grant, to support construction of a new, $70 million research and development center in Ann Arbor that will create 500 jobs over the next five years. Ann Arbor was selected over 350 potential sites all over North America. The plant is expected to be a major boost to the semiconductor industry in Michigan. Individuals interested in careers with KLA-Tencor should visit https://careers.kla-tencor.com/. * Magna Mirrors of America Inc. received a $448,000 Michigan Business Development Program performance-based grant to support a $45 million project to construct a 175,000-square-foot manufacturing plant in Newaygo. As the Vision Systems unit of Magna International, Magna Mirrors manufactures interior and exterior rearview mirrors with value-added features such as electronic displays and auto-dimming glass. Michigan was chosen over competing sites in other states. The city of Newaygo has offered a 50-percent property tax abatement in support of the project. Individuals interested in careers with Magna Mirrors should visit www.magna.com/company/careers. * Proos Manufacturing Inc. received $998,000 in collateral support to serve as gap financing on a loan from Level One Bank to add capacity at a plant in Grand Rapids that will add 10 full-time jobs in six months and 15 more within two years. Proos, established nearly 100 years ago in Grand Rapids, is a manufacturing firm that offers stamping, engineering, design, assembly and blow molding. Individuals interested in careers with Proos should visit www.proos.com/careers-proos/. * An authorizing resolution for issuance of private activity bonds Oakland Corridor Partners LLC to make improvements to a 5.5-mile segment of the I-75 corridor. * An award of $9.6 million from the Investment Fund to be contributed as an equity investment into Grow Michigan II. The purpose of this investment is to leverage private sector investment with a fund size of $59.6 million. * An additional $3 million in funding for the Invest Michigan Pre-Seed II Fund to allow investments in new technology startup companies to continue for another year. * An extension of one year and additional funding totaling $2.485 million for two University Technology Acceleration and Commercialization programs: the Technology Transfer Talent Network and Michigan Corporate Relations Network. * Changes to the Michigan Translational Research and Commercialization (MTRAC) program guidelines to add an Advanced Manufacturing hub and combine the Bio Medical and Life Sciences hubs. The MEDC is the state’s marketing arm and lead advocate for business development, job awareness and community development with the focus on growing Michigan’s economy. 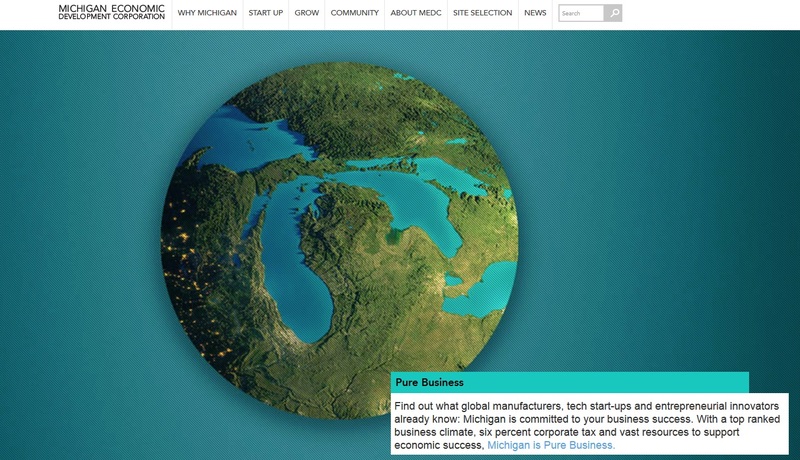 For more information on the MEDC visit www.MichiganBusiness.org.